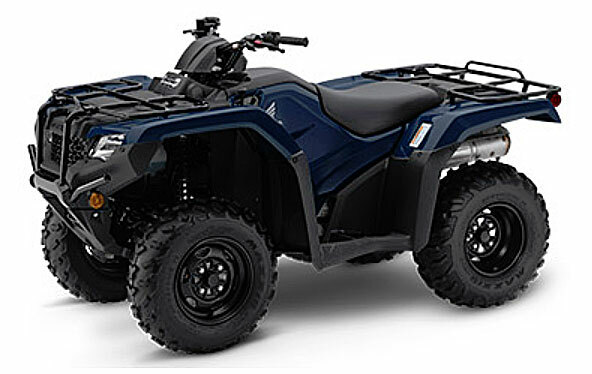 2019 Honda Rancher 420 Quick Guide. Details Model Differences. 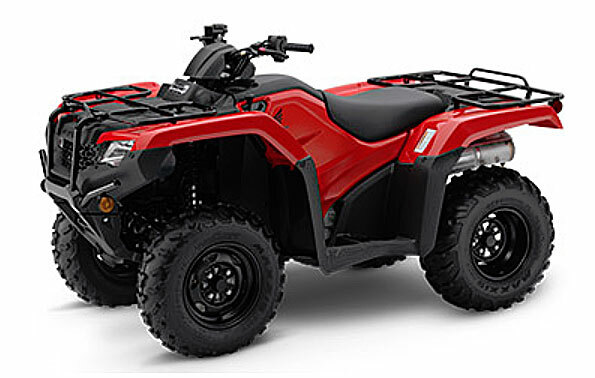 The Honda Rancher 420 lineup for 2019 offers six models. 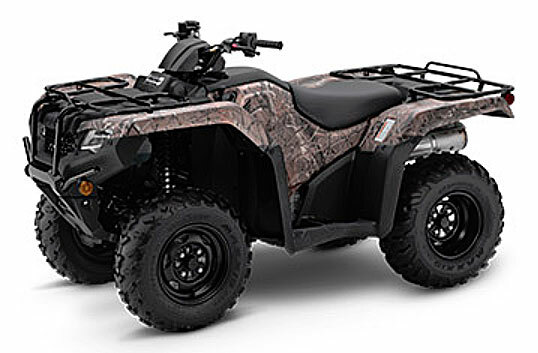 They range from a base model with manual shift, 2wd, and solid rear axle, to the top of the line with a dual clutch electronic shift automatic transmission and independent rear suspension. Just follow the guide for all the details. Newer mapping for the Programmed Fuel Injection (PGM-FI) system improves power delivery and throttle response, and increases fuel efficiency for greater range. Increased AC generator output of 450 watts to allow powering more electrical accessories. Five-speed transmission with Reverse includes an ultra-low First gear. Super-heavy-duty automatic clutch with a low-rpm engagement point for better driveability and towing capability. Swingarm Rear Suspension - enclosed-axle type swingarm with optimized stiffness for improved toughness and durability. Rubber swingarm pivot bushings yield increased low-speed ride comfort and increased durability. Dual front hydraulic disc brakes and sealed mechanical rear drum brake. Rear brake located inside the right rear wheel for improved durability and increased ground clearance. Newer sealed steering knuckle bearings for extended durability. Adds: TraxLok 2WD/4WD - Handy TraxLok 2WD/4WD selector lever, mounted on the left-front panel, allows 4WD when needed for the tough stuff and 2WD when conditions permit. Adds: Digital Meter - Meter display with added functions like a Maintenance Minder system that notifies when it is time for service. Adds: Electric Shift Program - ES model incorporates Honda’s exclusive ESP for easy shifts with the touch of a handlebar-mounted button. Adds: Electric Power Steering - Three-point mounting setup for the EPS system makes the entire steering mechanism more rigid for even more precise steering. Adds: Automatic DCT - The Automatic DCT provides the compact size and strength of a manual transmission (no belts to slip, break or burn out) with the convenience of an automatic transmission, while providingr the option of push-button manual control via Honda’s Electric Shift Program (ESP). The Automatic DCT features a dual shift-mapping program that automatically selects between two transmission shifting modes—either Cruise or Sport mode—for optimum shift timing depending on the rider’s pattern of throttle operation. During aggressive use, the Sport mode kicks in and holds the transmission in gear longer before shifting to deliver more aggressive performance. During more casual operation, the Cruise mode allows the transmission to shift up sooner for more casual performance and enhanced fuel efficiency. Adds: IRS and Automatic DCT - Independent dual-arm rear suspension design offers a more optimal shock ratio and increased suspension travel for a gain of 2.2 inches of travel. Adds: Larger Seat & Larger Rear Carrier. Adds: TraxLok 2WD/4WD - TraxLok 2WD/4WD system offers two drive modes: 2WD and 4WD with TraxLok torque-sensing front differential. Adds: Digital Meter & Rear Disc Brake - Larger 190mm dual hydraulic disc brakes up front and 170mm hydraulic disc brake in back for stronger stopping power. Adds: Electric Power Steering - Electric Power Steering (EPS) system incorporates new ECU mapping for improved linearity in steering response, reduced low-speed steering effort for enhanced maneuverability and decreased kickback traits for improved all-around steering action. 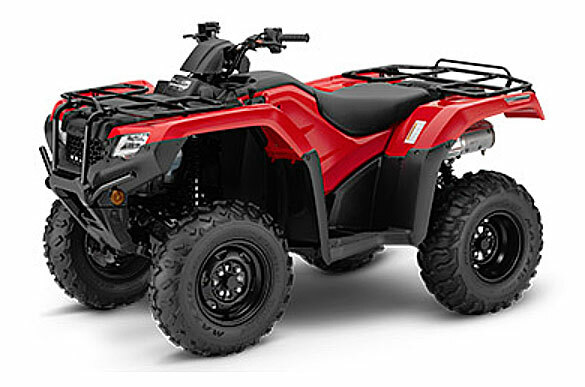 Honda Rancher ATV Guide - Covers all the Rancher models for 2013. 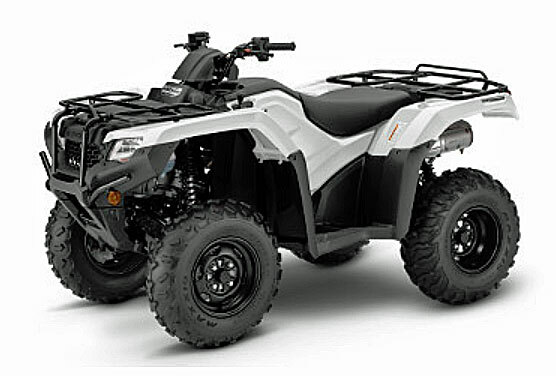 Honda Rancher AT - Full review of the 2013 Rancher 420 AT.